Guest blogger Colleen Cross on borrowing a screenwriting technique. Like many writers, I start new books with a general idea, a rough chapter outline, and a vague idea of the ending. At the start it's fresh and exciting, and I'm sure I'll knock out a first draft in no time at all. Then, just as we reach double-digit chapters, disaster strikes. My characters hijack the story. Or, even worse, they go on strike, and steer me off the highway and onto that no-exit road called Writer's Block Hell. Thankfully, I read some screenwriting books. Syd Field's Four Screenplays and Blake Snyder's Save the Cat! offer great advice for screenwriters, and novelists can benefit too. One idea made all the difference; I started to write in scenes. Modern stories are based on a three act story structure: the beginning, the middle and the end. I determine the three most important scenes for each act, and then write them. Now I've got nine scenes which form the main plot and provide the theme. I don't worry about what happens before or after these scenes, or exactly what order they appear in. I can fill those in later with smaller connecting scenes. I save each scene in a separate Word file, and then I knit them into my novel's first draft. My characters haven't mutinied on me since I started using this method. They seem happier, and while I still give them free rein, they don't take over my story, or stop it. Writing in scenes is a little messier, but it frees me to be more creative. Visit Colleen's website and blog at http://colleencross.com and read more about Exit Strategy, Book 1 in the Katerina Carter suspense series. Dixon says: I had coffee with writing friend (and Amazon Top 50 reviewer) Roxanne McHenry the other day. She is excited about the first draft of her dark YA novel, which consists of a series of unconnected scenes. When she gets further along, she'll worry about whether the scenes are in the right order, and how to hook them together. An interesting approach - I'm not sure I'd have the courage to try it. Tip O'Day #228 - Keep 70%...For What? Guest blogger Sue Owen on self-publishing versus traditional publishing. I receive and share comments on both sides of the “e-book vs tree-book” debate, and "self-pub vs big pub." Anne Patrick had strong arguments in favor of traditional publishing last week. In today’s post, Sue Owen doesn’t buy that viewpoint. Guest blogger Cynthia J. Faryon on some nonwriting things that can help you get published. Become known in your community by volunteering and include this in your bio. Read back copies of magazines or read books published by publishing companies so you know what they are interested in. Send your manuscript out to sample readers with a questionnaire and include the comments in your submission. Tip O'Day #226 - Yet More "Why I Write"
Five more responses to “What Makes You Write?” Let’s do this again sometime. Clair Saint - Word smithing, articulation that is really important to describe the feeling so the other can completely and totally visualize and/or feel what the writer is describing to touch and stimulate. Marlene Samuels - I select books for a range of very specific reasons: they're in my field; they're by best-selling authors; they're classics that I didn’t quite understand when I was required to read them; or they're a huge intellectual challenge to me. Matthew Schott - I have to tell their stories or they will be lost forever. Everyone is a main character; it’s just those who get thrown into unusual situations whose stories becomes books. Five more friends respond to the question, "Why Do You Write?" Heather Long - Because if I don't write I daydream all day and don't get paid for it. Ellie Mack - I think everyone would benefit from more laughter, and a lighthearted look at life. Otherwise it's just too depressing. Since I don't want to do stand-up comedy, I write. The wit and wisdom combined gives a certain 'slant' that not everyone sees. That's what I feel that I offer to others - a wry view that brings a few laughs, a half full in a world of half empties. Sue Owen - I have no idea what makes a person write. It’s not an easy life. It’s lonely and scary. You pour your heart into a work that takes you forever to finish. But really it’s never finished; you just reach a point where you just can’t look at it anymore so you publish it. Then people read it and tell you how this or that could have been done differently, all with good intentions. Why would anyone do that to themselves? Deb Peters - I do not feel like anything or anyone makes me write. I have a very vivid imagination and years of life experiences. If I have inspired one person to be happy with their lives or do something to change it to make them happy, then I have accomplished my goal. Marsheila Rockwell - No one else is writing the stories I want to read. My thriller Assassin's Club: Preservation will be out on Kindle at Christmas - look for it! Tip O'Day #224 - What Makes You Write? Michael Boehm - The characters. They're there in my head, doing things and having conversations. They won't leave me alone unless I write it all down. Shirl Henke - I began writing because I had stories in my head and had to put them to paper. Once I became published, I had deadlines on my mind. Now that I'm e-pubbing my backlist before writing any more new books, I feel the very strong urge to stop and begin with the new stories once again. John Hohn - It gives my life purpose. I put these in alphabetical order by last name. Interesting how the same theme runs through the first four. I'll post more replies from my friends over the next week. If you have a thought you're burning to share, email me at montananovels@yahoo.com or add a comment below. After Christmas, look for Assassin's Club: Preservation on Kindle, with wider distribution to follow. Guest blogger Anne Patrick on getting published. I think with the evolution of e-books, it's becoming easier to get published, but you still need to carefully research the publishers you submit to. Indie authors are having some success. Personally, I prefer the traditional route. I'm currently published with small independent publishers and have been very happy with them. I have good editors, awesome cover artists, and the royalties aren't too shabby. If a person does go the indie route, investing in a good professional editor is a must. The most important thing...don't give up. Believe in yourself, stick with it, and it'll happen. Guest blogger Gary Williams on the appeal of e-publishing (Part 2 of 3). I’ve heard some people say that they will never read an e-book. They love the feel and smell of a tangible book. I must agree, there is something comforting, almost romantic, about turning the pages of a bound book, the scent of the paper. But the fact is, we are a society of convenience and immediacy. As people get comfortable with the technology, which is about as user friendly as you can get, more and more will convert. Talk to anyone who is a regular e-device user and you’ll find that they’re hooked. Both my parents are in their 80s. Each owns a Kindle. My father is on pace to read more novels this year than I’ve read in my entire life, and he hasn’t set foot in a brick-and-mortar book store for years. Gary Williams co-writes with Vicky Knerly. Their debut thriller, Death in the Beginning, was released electronically on November 21st, two days ago. Tip O'Day #221 - E-books a perfect fit? Why are e-books the perfect fit for both writers and readers? - The purchase price of e-books is considerably lower than either paperback or hardback books in most cases. Many are sold for $5.00 or lower. First-time authors often sell their books for $.99 or even give them away. Why? To gain an audience. It’s all about marketing. Get a reader base, and money will be made on the volumes and/or future releases. - Due to the minimal overhead for e-book publishers, e-publishing your manuscript often requires very little investment by the author. In many cases, no investment is needed since the publisher shares in the profits. Once the electronic version is uploaded by publishers, they incur virtually no overhead costs. It’s a win/win for both author and publisher. - The convenience by which readers can purchase novels via e-reader devices such as Kindle and Nook lends itself to impulse buying. A reader can shop, buy a novel, and be reading it within a matter of minutes. For some devices and applications, readers can download a book anywhere there’s a wireless connection. Combine the convenience with the low price, and it’s not hard to imagine that readers will take chances on unknown authors. So what if they spend $1.99 on a book that turns out not to be to their liking? They’ll just download another one. And what of readers who have just finished a book and want to find others by the same author? Minutes later, they could be enjoying the next story. Gary Williams co-writes with Vicky Knerly. Their debut thriller, Death in the Beginning, was released electronically yesterday, November 21st. Guest blogger Gary Williams on the appeal of e-publishing (Part 1 of 3). The publishing industry took a turn a few years ago with the introduction of e-publishing. From a fledgling start where it faced considerable opposition, e-books are becoming prevalent at a time when the economy is in most need of inexpensive entertainment. Five years ago Nooks and Kindles were luxuries for the serious, well-to-do readers. Few people made the hefty investment, which carried a price tag in excess of $400. But like the original pocket calculators that came out in the late 1960’s and costs over $400 and now can be bought for $10, the price of electronic readers has begun to plummet. Kindle is now advertising a version for under $100. Cell phone reader apps are also very inexpensive, and in some cases free. Do people really read e-books? According to the American Association of Publishers, purchases of e-books have soared over the last year. E-books sales in August 2010 compared to August 2011 were up 116%, while adult paperback sales were down almost 6% and adult hardback down 11% for that same month. As a matter of fact, every category of books suffered a decline in this period with the exception of e-books and audiobooks. And while e-books still only represent 17.6% of total book sales in August 2011, that’s a tremendous leap from the 7.8% the same month a year before. At this rate of growth, they will soon overtake the sale of all other book mediums combined. Gary Williams co-writes with Vicky Knerly. Their debut thriller, Death in the Beginning, was released electronically on November 21st. Wait a minute – that’s today! Best wishes, you two. Tip O'Day #219 - "Picture It"
Guest blogger John Klawitter on visual imagery in e-books. We’re all aware our audience increasingly devours everything from novels to e-zines on small, hand-held screens. And now it seems e-books are moving beyond words and in the direction of visual imagery. With formats like Kindle, Smashwords and CreateSpace we can add images in the text of our work. Fifteen years ago, when I wrote Headslap, a sports bio about the life and times of Deacon Jones, the publisher grudgingly included a group of pictures in one section in the center of the book. That used to be the way they did it, an awkward section not all that convenient to refer to. Today you can sprinkle photos and drawings throughout your book at little or no extra cost. But that’s just one current step in the trend. Today’s writers are linking to video imagery within the body of the text. I myself am working on a how-to book meant to inspire writers who want to venture into storytelling videos, and I’m imbedding links to YouTube and Vimeo to give readers the opportunity to experience short video examples of exactly what I’m talking about. Tip O'Day #218 - Critique This! Your genial blog host Dixon Rice on critique groups. My local critique group is terrific. They catch spelling errors and grammar mistakes. They notice continuity problems, POV violations, tense problems, and subject-verb disagreement. Most important, they ask annoying questions. In my WIP, two deputies in a rural Montana sheriff’s department have a hobby. They kill criminals when they can’t get a conviction in court. So I have them researching cold cases, staking out suspects, interviewing witnesses, and other extracurricular activities. You know, acting like detectives, even though they are just patrol officers. Two nights ago at our biweekly critique session, Jake asked me, “When do these guys work?” Well, darn. He had spotted a problem that many crime fiction readers would immediately notice. My deputies were not getting calls about domestic assaults or car accidents. They were not giving speeding tickets. They were not transporting felons, reporting their locations and odometer readings to the dispatcher, filling out forms or testifying in court. I can fix this oversight, but I never would have realized it existed if not for Jake and his annoying question. That, my friends, is why Jake and I started our critique group, and why I keep coming back for regularly-scheduled ego adjustments. 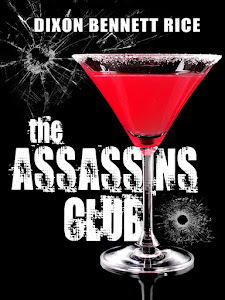 This Christmas, look for Dixon’s first published novel, THE ASSASSIN’S CLUB: PRESERVATION. Guest blogger Sue Owen on book covers. Time and again, authors overlook the importance of the book cover. First impressions are very important. Does it make sense to spend years writing and revising a book, only to slap any old cover on it and call it good? What a huge waste of time. The creative decisions about your cover are just as important as the creative decisions about what to put between the covers. A good cover has to be attention-getting as well as reflecting the story and the personality of the user. To have a drawn cover for a children’s book is good because the readers you are trying to attract will be interested in that. But to put that same type of cover on a murder mystery….you won’t sell it no matter how good the story is. Guest blogger Gary Ponzo on starting your story. There was a time when people would ride their horse for days to travel a hundred miles. A trip to China and back could take months. Back then writers could take 3-4 chapters to develop their characters, revealing their idiosyncrasies, their flaws, their motives. Those days are long gone. Our lifestyle has changed so much, waiting for a light to turn green could easily mutate into road rage. While Twitter, Facebook and texting have caused our attention spans to shorten, our children's brains are actually being developed to handle the fast pace. So readers no longer have the patience for long introductions. Certain literary fiction might have some immunity to the modern, frantic pace, but if you're writing any type of commercial fiction, you'd better upload the tension. How do you do it? With great care - not tricks or gimmicks like the protagonist waking from a nightmare as he's about to be slaughtered. What will work, however, is anything with tension. And I don't mean it has to be a freight train bearing down on our hero. It could be as simple as a missed phone call the protagonist desperately wanted to hear. Use intrigue to lead us to the next line, then make sure the next line leads us into more questions. Resist the temptation to answer everything too fast. That's what keeps the reader reading. Lee Child's first Jack Reacher novel, KILLING FLOOR, began with "I was arrested in Eno's Diner." Of course it begs the question, why was he arrested? Why does he seem so casual about it? My favorite opening line came from an old Jules Shear song, "I've never seen the weapon, but I know the prints are mine." Isn't that a great opening? I've tried for years to use that line, but never found the story to go with it. Maybe I never will. But one thing is for sure, I'll probably never open with something that doesn't cause the reader to ask, "Why is she in that predicament?" Tip O'Day #215 - Feeling Passion? Guest blogger Laura Schultz is passionate...about writing and reviewing. I have always been passionate about writing poetry as I was able to address the human condition as well as muddle through my own as a child. Besides poetry, I enjoy writing in a myriad of genres such as self-help and true crime. My passion has always been to facilitate growth and change, and to inspire others to transcend their struggles. I endeavor to use my background as a psychotherapist in my writing for those reasons. After reading and reviewing books for the past few years for the NY Journal of Books, I developed a great respect for authors. I was able to learn the delicate balance between elevating a good story and pointing out some of its weak points. Reviewing is the best of both worlds and has greatly improved my writing because of learning from others. I got to know Laura through the FB group Writers Etc. She is a co-administrator there but a more accurate job title might be Guiding Spirit. She is tremendously helpful and supportive, and can offer interesting psychological insights into what makes your characters tick. Tip O'Day #214 - Feeling Rejected? Guest blogger J.E. Seymour on dejection over rejection. I read a complaint from a writer the other day. He was whining about how it took a year to write his novel and then an agent rejected it. One agent. He even got helpful feedback from said agent. It took me years to write my first published novel. It took me years to get it published. 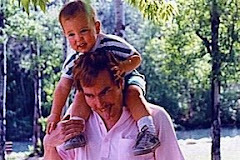 My very first novel was picked up by an agent fourteen years ago, but she dumped me after thirteen rejections from publishers. I finished another book, got another agent, dumped him after six months of inaction. Wrote another book. Got 86 rejections from agents. Got numerous rejections from small presses before finally selling it to Mainly Murder Press. This is not a game for the easily discouraged. If you want to write, be prepared to stick to it. And don’t give up after one rejection. Just keep writing a better book. Guest blogger Alyse Michele Gardner on putting yourself in your work. When it comes to writing, I think that a lot of what you write should come from your soul. You should put as much of yourself into the piece of work as you possibly can, yet try not to be redundant. You can have similar things, and approach the same thing from different aspects, but don't write the same thing over and over again. However, what I stress the most is the factor of the soul. If you find yourself being repetitive, choose the most powerful version – the one from the soul – and slash the rest. Guest blogger Carl Paolino II on all you need to know about screenwriting. To sell a screenplay you need an agent who believes in your work and pushes it. Following up yesterday’s post, here is more of what readers look for. Gerald Sessions: I read mostly fiction. (Not a writer.) Some books I buy because I like the author. Sometime the cover is the clincher; other times, the blurb telling about the story. Jane Vogley - I go for the obscure, books that don't have mainstream appeal or marketing. As a screenwriter, sometimes I only have time to read when I'm working on an adaptation or doing research for a movie. For example, right now my dining room table is covered in every book known to man about Raoul Wallenberg, because I'm writing a script about him. I'm also working on a spec script based on a book called Swamplandia so I'll have to start reading that soon. So what makes you pick up a book by an unknown author, and give it a try? Two Opinions on What Readers Look For. Madison Woods: I hate to admit it, but first I do look at the cover. Good art attracts me because I am a creative type and look for style/colors/layout I like. After that I'll open the book to a random page and read. If the author's style of writing appeals to me, I'll keep reading at random spots throughout the book. If the content inside doesn't appeal, it doesn't matter what the blurb on the back says. Things that make me put it back right away are things like clumsy dialogue, drifting POV's, obvious syntax errors, and poor grammar (where the grammar isn't part of the voice). Judith Anne Horner: I mostly read mysteries or romantic suspense written by well-known authors or by authors I’m acquainted with, either in person or online. I generally read a review about a mystery/romance novel in a magazine or online. I’ve also been reading a lot of works by Indie Authors. Some of it is really good; some of it isn’t so good. I don’t think that a lot Indie Authors employ an “outside editor.” Also, the formatting tends to be really messed up on some e-books. I find that I lose interest in novels that have more than three POVs and ones that seem to have an endless cast of characters. I also tend to skip over sections with too much telling and too little showing. And I think it’s a little strange when the first-person POV protagonist addresses the reader. Saying for Writers #104 - "Being a Writer"
Tip O'Day #209 - "Why Not Me?" Guest blogger Valerie Douglas on the success of others. You've worked hard as a writer, honed your book, edited it, tried the traditional route and endured the rejection slips. For moral support you've joined writer's groups and cheered each other on for weeks or months. Then the day comes, the big announcement - a contract offer. Only... it's not you. Maybe their book is merely good, or maybe it's GREAT, or you think it's garbage. It doesn't matter, because a part of you wishes... it was you. Maybe they handle it well, accepting that it's a mix of hard work and sheer luck, or maybe they don't. That doesn't matter either. Graciously, you offer congratulations. Yet there's that little niggling touch of envy inside you. You may even ask yourself, "Why not me?" That's okay. It's normal, to feel that way. As a wise man once said, it's not what happens to you that matters, but what you do with it. Another said, the test of someone's character is in how they handle a friend's success. So allow yourself to wallow for a few minutes, then pick yourself up, glue yourself to your favorite chair, and get back to writing. The success of others proves that it can be done, with a lot of hard work...and a little luck. After 25 plus years of writing and editing for other writers and 6 published novels, I’ve come to one major conclusion: you need to grab your reader’s attention at the beginning of your story. Too many writers spend the first chapter setting the scene and introducing us to the protagonist. Then, usually somewhere late in the second or third chapter, they provide the event that is the true beginning of the story. The perfect example of somebody who knows how to hit the ground running with a story is Lee Child and his Jack Reacher books. Within the first three paragraphs, Child has you on the edge of your seat wondering what will happen next. This concept is especially important in genre books, but even for a literary novel, you should get your characters moving and reacting to events. “Loud and clear, Daddy dearest,” she murmured, running her fingers along the chill barrels of the shotgun lying across her lap. “One dead man, coming up.” Nausea tugged at her stomach even as she smiled at her own sick sense of humor. My guess is most readers will stick around to find out who dies and why. Remember, the best way for our readers to get to know a character is through actions and reactions. Tip O'Day #207 - How Do YOU Measure Success? Guest blogger John J. Hohn on success as a writer. Finishing my novel, DEADLY PORTFOLIO: A KILLING IN HEDGE FUNDS, represented the achievement of a lifetime goal for me. It has been artistically successful and sells consistently although not in high volume. I may have sold 500 copies since it was published nearly a year ago. I learned a lot from my publishing venture--both about the book selling business and about writing. I don't care for all the online promo stuff that seems to be required. I think that a lot of writers are writing a lot of writers and we are all spinning our wheels in looking for the magic bullet or whatever. An entire industry has grown up around helping writers publish and sell. It has been very good for the publicists, the publishers, the consultants, and how-to authors, but I don't see much of it coming to anything very spectacular for the individual writers. A great deal of luck is needed. It is still a lottery. I am underway with my next effort but I have set my sights differently. I want to print perhaps 100 copies, distribute them to fans, reviewers, friends and family, and then move on. I turn 73 on my next birthday so the drive to sell 10,000 copies is not as important as getting the next book written. If I were 35, it would be an entirely different matter. Guest blogger Judith Anne Horner keeps it simple. 1) Aspiring authors should write. They should write something every day (e.g., a few paragraphs of a major project or simply a comment on someone else’s blog or Facebook post). 2) If one writing project seems stalled, work on another project for a while. Guest blogger Barbara Bixon wonders about listings on Writer’s Market. I love writing. It's my passion but it's frustrating as hell. I write comedy. When I send out chapters of my books, the agents scribble notes telling me how much they loved the book, characters, they couldn't put it down, but they reject it saying they don't handle comedy. Yet Writer's Market lists them as wanting humor. It's enough to drive you nuts. I've just gotten so sick and tired of the games that I self-published my books. They came out great and I have 26 book talks lined up for the next few months. I'm finally happy to see my books in print. Don't care whether I make a fortune. Why bother writing if you can't share your stories? Guest blogger Sue Julsen on self-publishing. Getting published is hard, especially in this economy. Traditional publishers don't want to take a chance on someone new or someone who isn't "connected" in good or bad times. They seem to want a sure thing so they can get richer while the author struggles to survive on the small amount they get from a traditional publisher. Self-publishing is the way to go, unless you want your manuscript to collect dust for years and years in a drawer waiting for a publisher to accept you or to find an agent who might or might not help you. New writers have to be very careful when looking for a place to self-publish. There are lots of legit-sounding scams, so I won't go with any publisher until I check it out on Predators & Editors and Writer's Beware. I also like to find someone who has used a certain publisher and has good (or bad) things to say before I make a final decision.